What is a Smartphone: A smartphone is a cellular telephone with an integrated computer and other features not originally associated with telephones, such as an operating system, Web browsing, camera, and the ability to run software applications. Smartphones offer some sort of access to the Internet and you can use your smartphone to browse your favorite Web sites. Smartphones allow users to store information, e-mail, install programs, along with using a mobile phone in one device. Now let’s talk about The Evolution of Smartphone. Weren’t Smartphone’s created to assist human beings in communication and connecting better with each other? 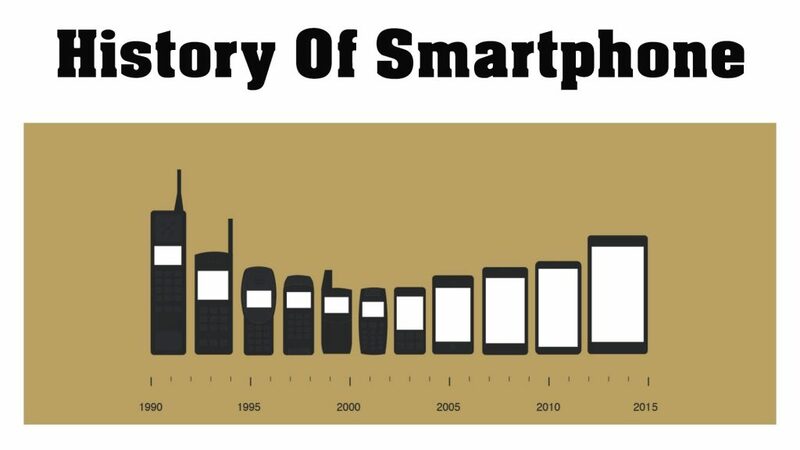 Telephones soon took a backseat when smartphones became a trend in the following years. Let’s take a look at some of them that managed to mark their presence among the millions of Smartphone’s that were launched. In 1996: NOKIA 9000 communication entered the not-yet-developed smartphone space in 1996. It had a full Qwerty keyboard and physical navigation buttons flanking a much larger display. In 1999: Blackberry 850 was the first smartphone to be called a SMARTPHONE officially, after the origin of its term a year before in 1998. A two-way pager with a limited HTML browsing and supporting email. In 2000: The Ericson R380 had a large display and a flip cover with keys. Thick, wide, long and not the most appealing look. Also, it had astrange antenna. In 2003: Blackberry Quark, Research in motion’s first model to feature a speakerphone. The Quark’s web browsing features and thumb ready keyboard helped redefine phones as DATA-Churning computers. In 2007: The 1st Generation IPHONE brought as a technological revolution in the smartphone arena. With Groundbreaking features like Corning Gorilla Glass protection and Internal Memory. IT could also play music and had its own OS called IOS. In 2008: HTC Dream, This phone was first (AKA T-MOBILE G1) Released in September 2008 and used the Linux-based Android operating system. Features included Wi-Fi, Camera, Bluetooth, SMS, Loudspeaker. In 2010: Samsung Galaxy SAndroid produced in over two dozen variations. At the time of its release, IT included the fastest graphical processing unit and was the thinnest smartphone. Other featured included Wi-Fi, camera, Bluetooth, FM Radio. In 2012: The Nexus 4 is a smartphone Co-Developed by Google and LG Electronics. IT is the fourth smartphone in the Google Nexus product family, Unveiled on October 29, 2012, and released on November 13, 2012. In 2013: Apple IPHONE 5S launched in September 2013, this phone is a single SIM that accepts A Nano-SIM. Connectivity Options include Wi-Fi, GPS. This Phone became a huge hit and a favorite among the consumers after its release. In 2016: IPHONE 6 Plus slight upgrade over the previous IPHONE version. The IPHONE 6 Plus is packed with amazing features such as A 12 MP Camera. A Faster Processor and a Longer Battery capacity of up to 6 days on standby. 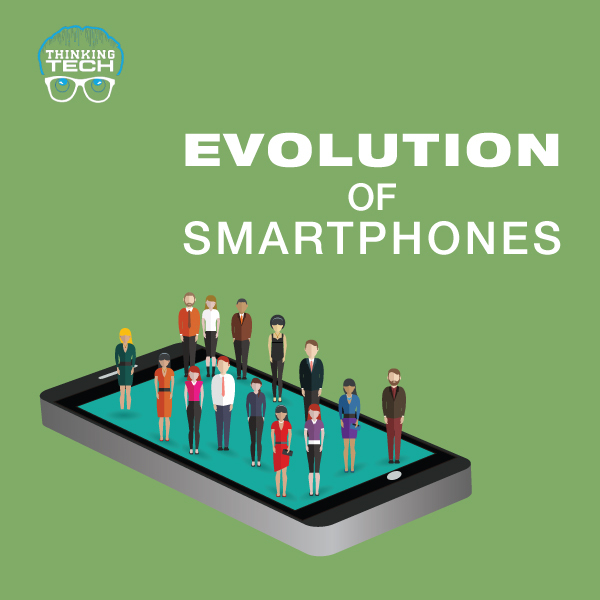 Evolution of Smartphone: So these Smartphone makes our life easy, it solved our several problems and the main thing is to connect with our family, friends by using social networking, calling, messaging etc.